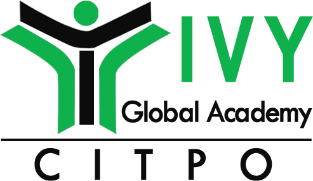 CITPO – Certified IT Product Owner role is a very unique and broad role in Scrum which combines all of the challenging aspects of traditional Project Manager and Product Manager Roles. Moreover, Scrum Product Owner represents the customer point of view in a Scrum project. It needs to be tightly integrated with the overall Software Development and Delivery Teams and Processes to ensure maximum added value for each and every Product Release. Whether, you act as a Scrum Product Owner or not in your Scrum team, as long as you’re directly working with your customers it is fundamentally important for you to comprehend the role of Scrum Product Owner in order to be utmost helpful for your customers and to create the maximum added value for them. A product owner has to attend sprint planning meetings and sprint demos. However, attending to daily scrum meeting is optional but recommended. In order to ensure that the development team has a clarity, he has to rank the product features so that the team clearly understands them. Forming the deadline for the project is the responsibility of Product owner by defining requirements and prioritize them. Product owner is responsible for managing and developing the product backlog. He has to prioritize backlog of all user stories for implementation and determine the release date. He has to spend time with the scrum team to prioritize/groom the user stories with few team members. Not necessary that all the team members need to be involved. 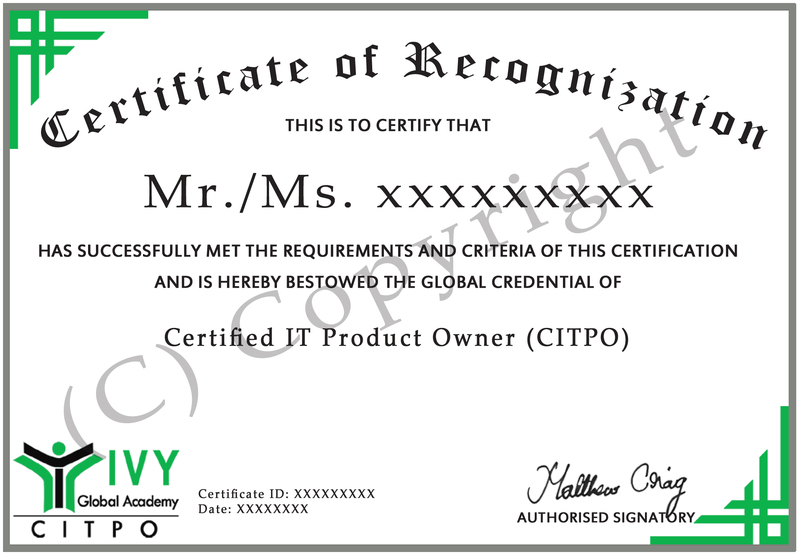 Note: The Certified IT Product Owner (CITPO) – Certification has no pre-requisites. The exam comprises of 80 Multiple Choice Questions out of which the candidate needs to score 70% (56 correct out of 80 Questions) to pass the exam. The total duration of the exam is 1 hour 30 minutes (90 Minutes). Exams are online and can be taken anywhere anytime. All you need is a reliable internet connection. The exam is conducted in a closed book manner. No external sources of information may be accessed during the exam.